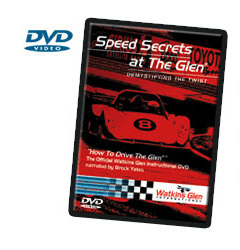 Discover the secrets of driving Watkins Glen International® The Home of American Road Racing – a course that requires a lot of skill and concentration to drive… fast. But fast is just part of the equation. The Glen® also rewards drivers for smoothness and momentum. Learn the techniques for navigating the turns, braking, turn-in, apex and track-out points. Our team of experienced drivers and instructors, some of whom have driven The Glen for over 25 years, have put their collective input into making this project a reference tool you’ll want to go back to, time and time again. Turn by turn, Brock Yates, whose legendary driving feats are only surpassed by his vast knowledge of motorsports, tells how to drive Watkins Glen International in detail. Click here to check out a preview of Turn 7 from the DVD! 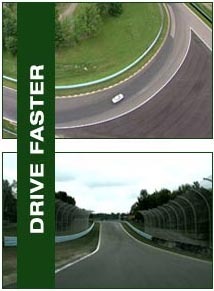 Novice, Intermediate or Advanced Drivers: This interactive DVD presents the basics for novices and serves as a refresher for old hands to perfect their line around the track. It’s a must have for every driver’s motorsports media library. Instructors: Use this for classroom and student home study. Make your job easier, and let your students maximize their learning on the track. Racers: Watching this DVD will help to master all 11 turns in one race weekend. A little head start and some tips may be just what you’re looking for. 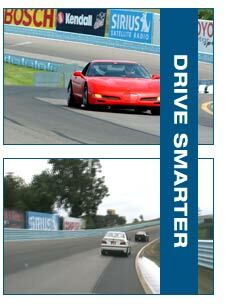 Racing Enthusiasts: Enjoy learning about the history of racing at Watkins Glen International, learn the “line” to better understand driving The Glen®, and get a real feel for what it’s like to be on the track from every angle with in-car and aerial footage. Track overview: Review the track at low and high speeds. Get a chance to see the corners and get a better visual feel for the track. Turn-by-Turn: Examine each turn in detail from multiple camera angles: evaluating braking, turn-in, apex, and track-out points. Lapping: View Hot Laps on the long course, from lead and follow car cameras, for pacing and flow of the track. Flag Talk: Flagging at Watkins Glen International, an instructional session by The Glen’s 22-year veteran corner worker, Ralph Whitaker. Safety first. Both school/lapping days and SCCA flagging are shown. 25 Years at the Glen: A 30 minute program, celebrating the first 25 years of racing at Watkins Glen, from the beginning street races to the long course built in 1974. Extras: Printable track maps, schedules, checklists and incredibly useful forms to print from your computer as a PDF. Techniques for navigating turns, braking, turn-in, apex and track-out points. 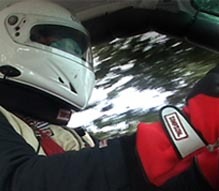 For novice, intermediate or advanced drivers, instructors, racers and racing enthusiasts. Printable track maps, schedules, checklists ready to download and print in PDF. Narrated by Brock Yates, whose legendary driving feats are only surpassed by his vast knowledge of motorsports. A must have for every driver’s motorsports media library. Copyright ©2019 Track Time Photos is a division of Kollins Communications, Inc.